An abrupt temperature change and a warming hiatus have strongly influenced the global climate. 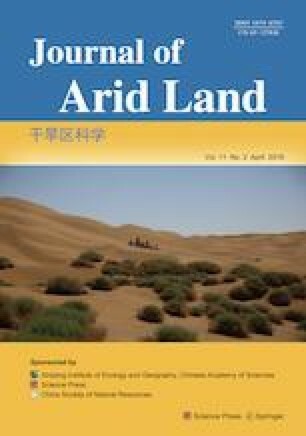 This study focused on these changes in Inner Mongolia, China. This study used the central clustering method, Mann-Kendall mutation test and other methods to explore the abrupt temperature change and warming hiatus in three different temperature zones of the study region based on average annual data series. Among the temperature metrics investigated, average minimum temperature (Tnav) shifted the earliest, followed by average temperature (Tnv) and average maximum temperature (Txav). The latest change was observed in summer (1990s), whereas the earliest was observed in winter (1970s). Before and after the abrupt temperature change, Tnav fluctuated considerably, whereas there was only a slight change in Txav. Before and after the abrupt temperature change, the winter temperature changed more dramatically than the summer temperature. Before the abrupt temperature change, Tnav in the central region (0.322°C/10a) and west region (0.48°C/10a) contributed the most to the increasing temperatures. After the abrupt temperature change, Tnav in winter in the central region (0.519°C/10a) and in autumn in the west region (0.729°C/10a) contributed the most to the temperature increases. Overall, in the years in which temperature shifts occurred early, a warming hiatus also appeared early. The three temperature metrics in spring (1991) in the east region were the first to exhibit a warming hiatus. In the east region, Txav displayed the lowest rate of increase (0.412°C/a) in the period after the abrupt temperature change and before the warming hiatus, and the highest rate of increase after the warming hiatus. This research was supported by the Program for Young Talents of Science and Technology in Universities of the Inner Mongolia Autonomous Region, the National Key Research and Development Plan (2017YFC0404305), and the National Natural Science Foundation of China (51669016).